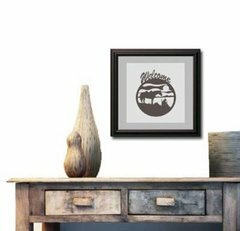 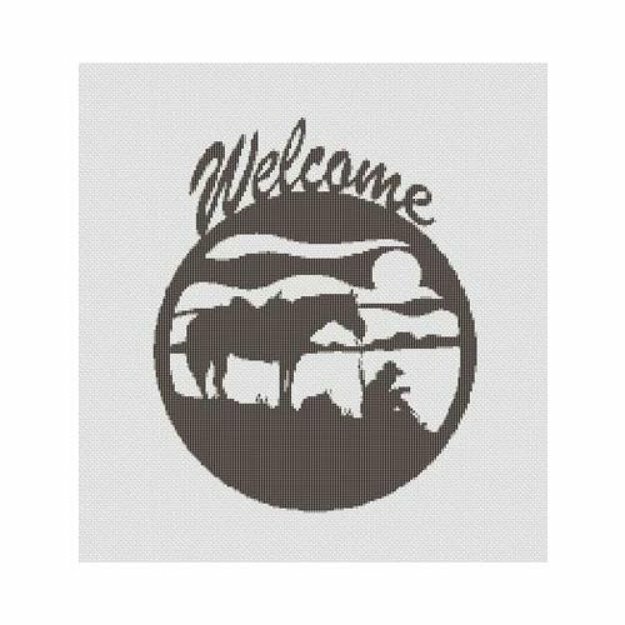 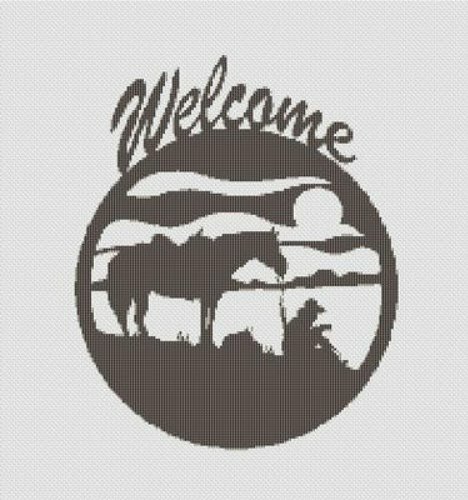 This cross stitch pattern design features a cowboy and horse welcome sign worked in a silhouette with just a bit of gray for shading. It would be easy to change the color scheme on this one. Worked on white fabric with the background left unstitched. 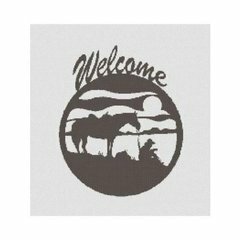 For 14 holes per inch, finished size will be 11.3" x 13.4".